From the smallest Chihuahua to the largest Great Dane, dogs dramatically vary in size, much more than most other animals. Now scientists have discovered a genetic basis for this diversity. 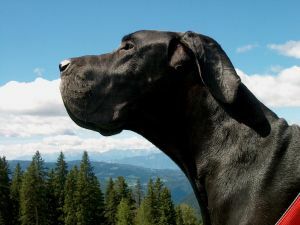 A new study published in the research journal Science, 6th April, reveals a genetic marker that may determine whether dogs are big or small, and helps answer a burning question in genetics – how could dogs as a species have such a tremendous variation in size? "This study is a major milestone in canine genetics, made possible by the help of thousands of dog owners around the world. Together with a team of leading international researchers, we have precisely located the major gene that produces our miniature breeds," said co-author Paul G. Jones, PhD, a genetics researcher at Mars – a world leader in pet care that has been researching canine genetic science for the last seven years. Dogs were one of the earliest animals to be domesticated more than 15,000 years ago, although people and wolves have coexisted for some 400,000 years. While all dogs originated from wolves, which are of a fairly standard size and appearance, modern dog breeds display a wide diversity of traits, including size. The genetic origin of this diversity has baffled scientists, who have been trying to explain how and why size difference occurred so rapidly in dogs. It is now thought that a change in the gene detailed in the published paper resulted in the appearance of small dogs in the population many thousands of years ago. It is likely that people soon saw the benefits of smaller dogs, for example for protecting food stores from vermin or catching small game. This further strengthened the bond between people and dogs and led to increasing popularity of smaller dogs as companions. The international team of researchers – ranging from scientists at the National Human Genome Research Institute, Cornell and other leading universities in the U.S. to Mars scientists in the United Kingdom – used 3,200 dog DNA samples provided by Mars Incorporated, which holds the most comprehensive canine genetic database in the world. This has been built up with the help of pet owners who consent to their pets providing saliva and blood samples for the database. Mars' genetic data allowed the study to fill the gap between giant and miniature breeds ensuring coverage across the entire range of sizes of breeds we have today. "These findings are just the tip of the iceberg in canine genetics," Jones said. "We are well on our way to identifying additional genes that can provide valuable insights into our pets." With the dog genome now fully mapped, scientists are discovering a range of potential benefits of DNA-based information on man's best friend. "The ability to isolate a specific genetic marker in such a quick and effective manner has tremendous implications for the future," Jones said. "Applications of this cutting-edge science could be used to develop products that will benefit the health of pets – for example, developing individualised preventative care plans for dogs that are susceptible to certain diseases will help pet owners and veterinarians. In addition, genetic information about size and behavioural traits, such as trainability and temperament could also help veterinarians identify the most lifestyle-appropriate pet for an owner. "